Welcome to the web archive of the Network for Peace through Dialogue. Due to technical issues with our streaming video content please copy and paste this link https://www.youtube.com/channel/UCeI7XrpGOAOgDcZoAF-3FvA/videos into your browser in order to view YouTube content associated with the Network for Peace though Dialogue. "What do you do/what should be done in terms of care for the earth?" The Dialogue began with the 13 participants by reviewing the dialogue practices card and introductions. The question to answer along with introducing ones name was "What do you do/what should be done in terms of care for the earth?" The group mentioned such things in which they were already involved: watching water consumption, recycling, painting things of nature, being aware of helpless animals, learning about GMO's, cooking and sharing food, writing a play about a homeless person in a park, care of earth, being conscious of the helpless (animals and children), walking upstairs instead of taking the elevator, living simply, leaving a small carbon footprint, putting daily message on Facebook from Laudato Si', eating locally and being a vegetarian, and urging this consciousness into school curriculum. 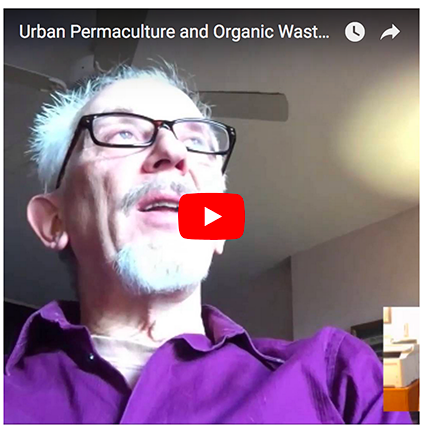 Following personal introductions, the video of Urban Permaculture Designer, Greg Todd, was introduced with the accompanying question "Who could be interested in or benefit from this video". After viewing the video, the group each shared what impressed them about the video. Several noted that it was very interesting how successful he had been in getting people involved in the issues and in how he organized, One member wanted to know with which groups he worked. How he did his homework and was able to put a spotlight on the powerful real estate owners and get them to see the value of this new kind of culture. Greg encouraged people to get involved in local government. One was impressed with his perseverance and thoughtfulness in planning. All recognized Greg's passion, demeanor, and his ability to gather people around an idea, as well as his global and national awareness. In terms of Greg's discussion of permaculture, people were impressed by how he defined it remembering his Boy Scout learnings of "leaving something better than when you found it." It was news to learn that although there was 13 tons of waste in NYC daily, it is actually per capita the smallest amount of waste from cities in the industrialized countries. Many were inspired to think more about what can be done to what we previously have wasted and to transfer to more use. "Who else could be interested in or benefit from this video?" With all these impressions, we moved onto the question "Who else could be interested in or benefit from this video?" Ideas for this included: anyone with a garden or land, local politicians, high school classes, senior centers, children in schools, opportunities for entrepreneurship for undocumented women, and also to pair coffee shops with community gardens. From these initial thoughts, some more complex plans such as pairing senior centers that would create gardens with high school students who would transport compost to the gardens, as well as transport the veggies out on bicycle. There was also an idea that NYC needs to institutionalize and give people jobs in composting, perhaps using bicycles to transport it. At this point there was also some general discussion about the topics at hand. We discussed what can be composted and what could not (i.e. discussion about meat compost), and about recycling and how people get fined for recycling in the wrong bins. Then one person noted that the workers of her building have to separate by hand the recycling, because people do not recycle correctly, and how this is both unpleasant work, careless of the people who live in the building, and not cost effective. There were also some comments on litter and rinsing out jars for recycling. Who should we send this to what specifically could we personally do? The question was then posed "who should we send this to what specifically could we personally do?" Perhaps the men that worked in the building mentioned before, people we know individually, or building management. One participant has a friend in waste management systems that might be interested. Other ideas were teachers at Marymount Schools, restaurateurs and food service people, City Harvest, and people in one participant's master class in composting. We also might send out cards with information about this video or to send this video and information about it in an email to individuals we know. One participant thought that an acting troupe could do a skit about compost and bring it to schools. There was some continued discussion about shared responsibility for the earth, and talk about fines, and collaboration as ways to care for the earth collectively. The group was told about the Network for Peace's 10-day earth week and there was an invitation to visit Greg Todd's garden to the participants that week. It was also brought up that we may do a picnic then.